On Thursday, the Phillies announced their minor league coaching staff for the 2018 season, including a few big additions. 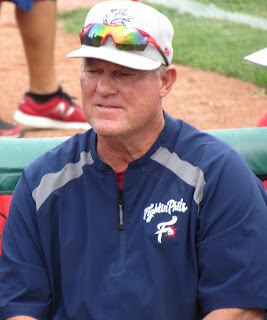 At the top of the developmental levels, Gary Jones has been hired as the manager of the Phils’ Triple-A affiliate the Lehigh Valley IronPigs. Jones, 57, spent the previous four seasons as the third base coach for the Cubs. He has also coaches in the A’s, Padres and Red Sox organizations. Jones makes the third individual that the Phillies have hired away from the 2016 World Series champions this off-season. John Mallee, the team's new hitting coach at the big league level, held that position with the Cubs for the previous three seasons and new first base coach Jose Flores served as Chicago's minor league field coordinator (virtually a second-in-command of the minors) for a handful of seasons. Former Phillies infielder Wes Helms will also be added to the IronPigs’ staff as a coach. Hitting coach Sal Rende and pitching coach Dave Lundquist will remain in their roles with the team. Returning Double-A Reading manager Greg Legg's history with the Phillies dates back to 1982 when the team drafted him as an infielder in the 22nd round. He would play for 13 professional seasons, including time spent in the majors with the Phils. Since 1994 he has served as a coach at various levels of the minors. Legg will be joined by former Phillies first baseman Rico Brogna. He previously worked as a scout with the Angels. The new hitting coach with Reading will be Kevin Riggs, who has coaching experience with the Rockies and Pirates developmental systems. Steve Schrenk will return as the team’s pitching coach. With Class A Advanced Clearwater, Shawn Williams will return as the club’s skipper for his second season there. Aaron Fultz, another former Phillie, will be retained as the Threshers’ pitching coach. John Mizerock, who served as hitting coach with Reading last year, will join the Clearwater staff in the same role. Ruben Gotay, a former big league infielder with the Royals, Mets and Braves, will be added as a coach with Clearwater. Class A Lakewood will see manager Marty Malloy return for his second season with the team. His staff will be completely new with former Phillies farmhand Tyler Henson named as hitting coach, former big league hurler Brad Bergesen joining the team as pitching coach and Venezuela native, Milver Reyes being added as coach. For short-season Class A Williamsport Pat Borders will return for his fourth season as the team’s manager. Former Phils farmhand Christian Marrero will join the team as a hitting coach with Hector Berrios returns as pitching coach. Greg Brodzinski, who was a catcher in the Phillies farm system in 2015 and 2016, will be added as a coach. 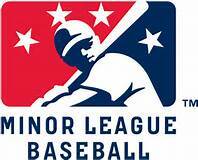 The organization also announced that they have added a second team in the short-season rookie level Gulf Coast League. The GCL East team will feature manager Roly de Armas hitting coach Rafael de Lima, pitching coach Hector Mercado and coach Charlie Hayes. The GCL West team includes manager Nelson Prada, who was the hitting coach with Lakewood the last few seasons, former infielder Chris Heintz and former Temple University and Phillies minor league reliever Matt Hockenberry as pitching coach. Rob Ducey, who was a hitting coach in the Phils’ system in recent seasons, will take on the position of base running and bunting coordinator. Other developmental mainstays such as coordinators, roving instructors and rehab coaches will be retained in their roles. Details on those positions and others mentioned above can be viewed at this linked web address.